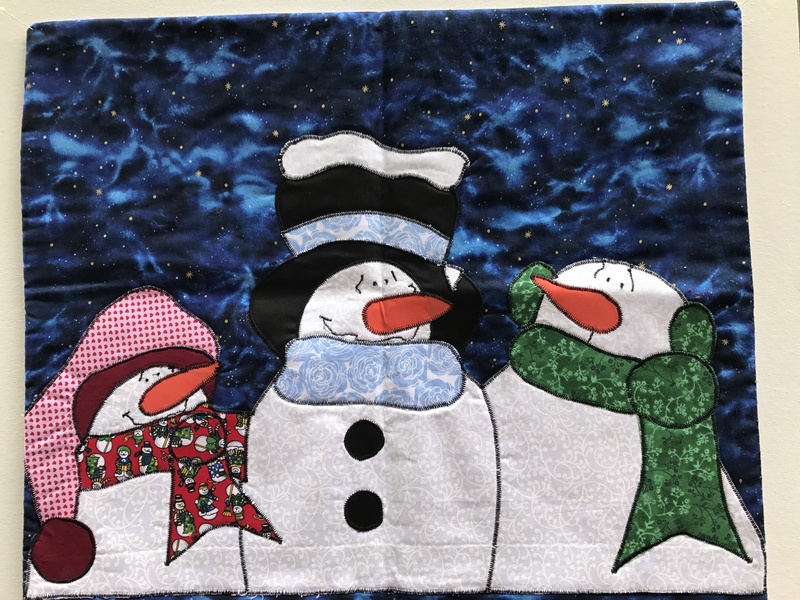 Leon Historical Society hosts the Snowman Door Hanging Project with Patty teaching the appliqué technique. This one is really fun and a beautiful piece for the holidays! And Snowmen can stay up until they melt! At least February! Class begins at 8:30 AM with coffee and donuts at the Leon Fire Hall across from the Leon Town Building – 12195 Leon – New Albion Road. Lunch with desert is included and all supplies needed to complete one table runner. Please bring your portable sewing machine if you have one. $40.00/person. Call Pat at 596-5709 or Myra at 257-5272 to reserve your spot.